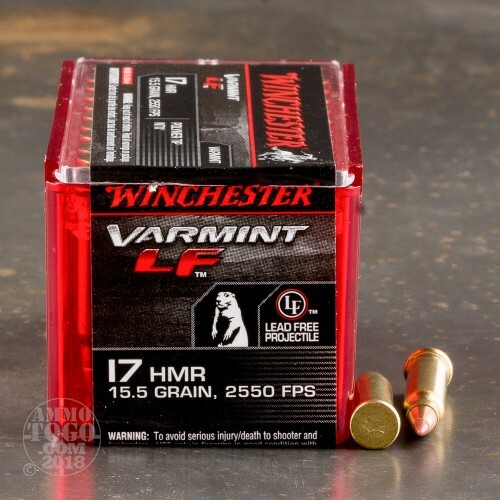 This is .17 HMR Winchester Supreme Lead Free 15.5gr. 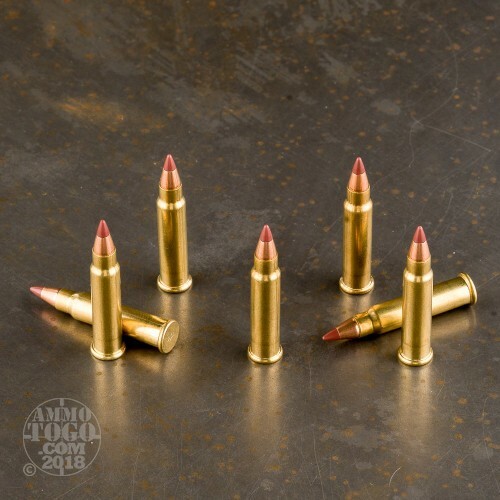 Polymer Tip NTX Ammo. 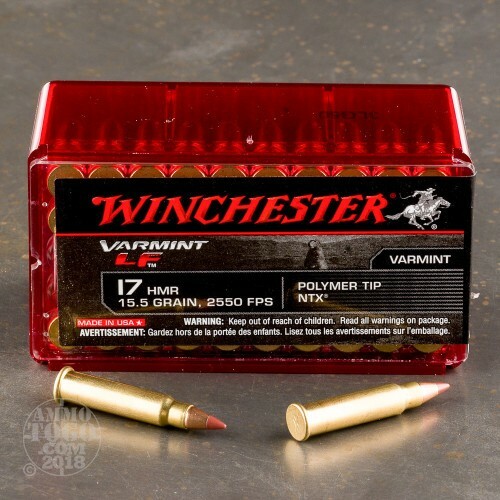 This polymer tip ammo is lightning fast, flat shooting and excellent on varmints. Varmint LF ammunition provides the power, performance, and high energy demanded by varmint and small game hunters. Non-corrosive primer, and clean burning powder. It comes packed in 50rd. boxes. .17 hmr 17 gr. HV poly tip. Probably the worst performing ammo I've ever put through the floated barreled Savage NRA edition rifle. Averaging half a dozen "dry fires" per box of 50, along with varying case tolerances to the bolt face makes it unreliable at best. 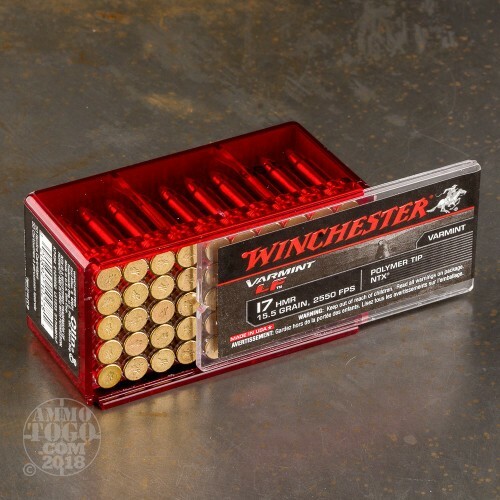 Have tried all kinds of ammo and the gun is a gem to shoot and drives tacks. It even shoots this ammo well, but the quality control of this ammo simply fell off the deep end. The hollow pin click on a varmint shot produces beautiful curses.